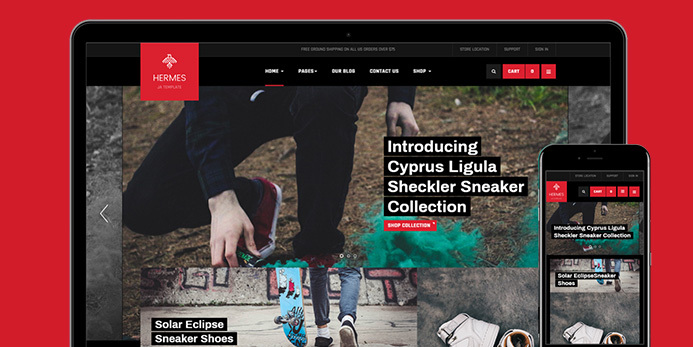 JA Shoe Store has been released and today we would like to review features of the eCommerce Joomla template. 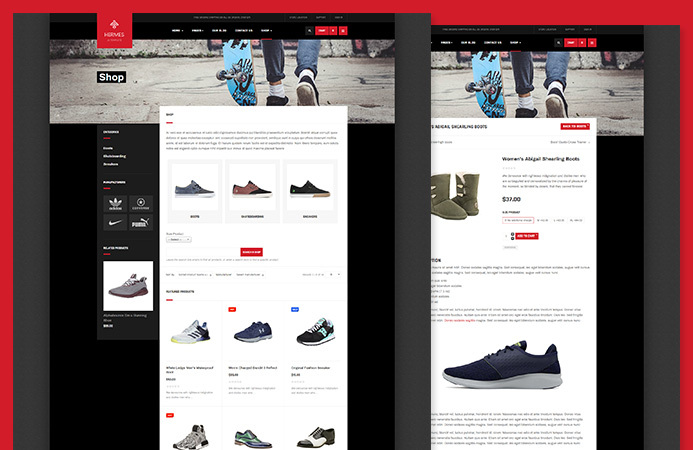 The eCommerce Joomla template is built to adapt for multiple shop types: Shoes store, Fashion, Clothes… it has modern and creative design concept based on free Joomla eCommerce component – Virtuemart with all eCommerce pages: Product categories, Product list, Product detail, Shopping cart, Checkout, Brand, Manufacturer … and all Joomla default pages with customized style. The eCommerce Joomla template is built with robust T3 Framework, uses new web technologies, integrates Bootstrap 3 and fully responsive. 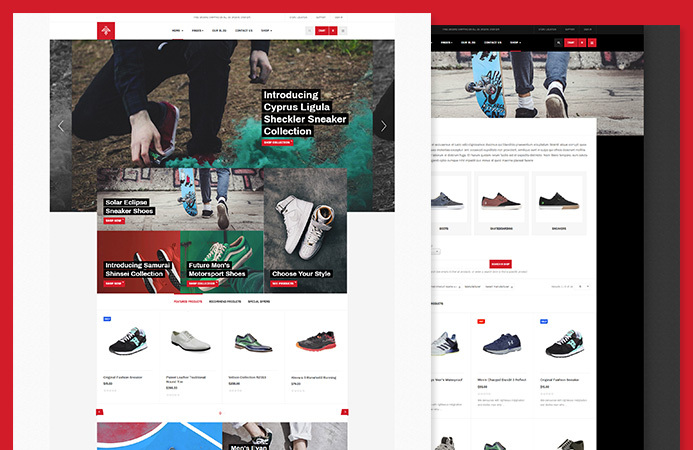 JA Shoe Store eCommerce Joomla template is designed to adapt multiple shopping website for Shoe, Clothes, Sport, Fashion with flexible layout system and 2 color themes: dark and light to give users more choices. Virtuemart is one of the most popular eCommerce Joomla component, it supports all eCommerce functions and easy to use plus FREE. JA Shoe Store uses Virtuemart for eCommerce solution, it supports all features and pages with customized styles to build a complete eCommerce website. 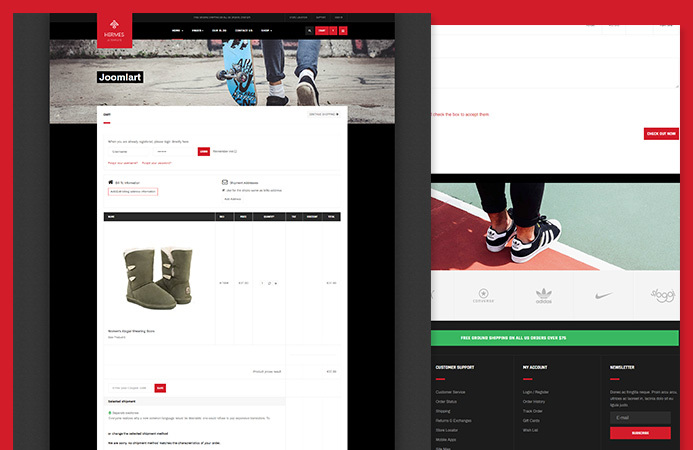 To save user time and effort, We build all ready-to-use eCommerce pages in JA Shoe Store: Product categories, Product list, Product detail, Shopping cart, Checkout, Brand, Manufacturer ... with creative design and clean layout system. 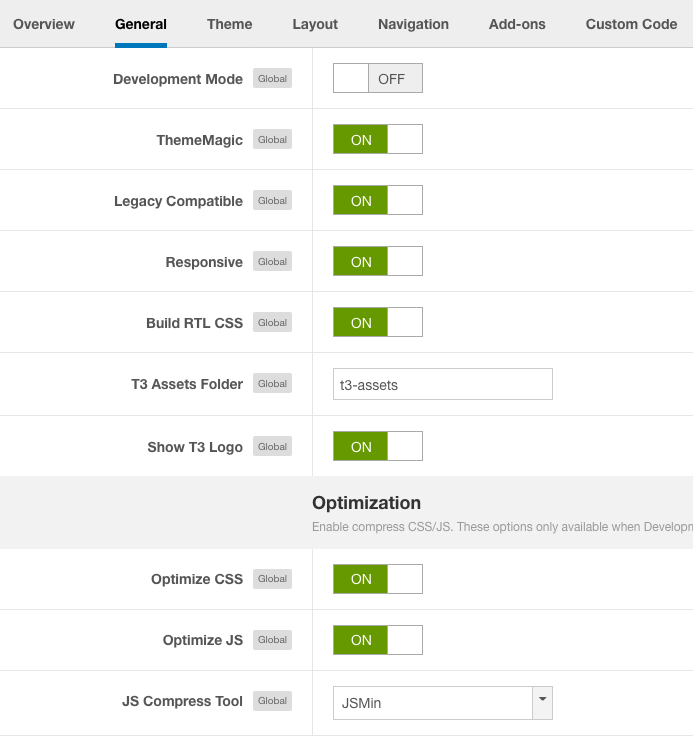 Using quickstart package will give you full demo site on your server. 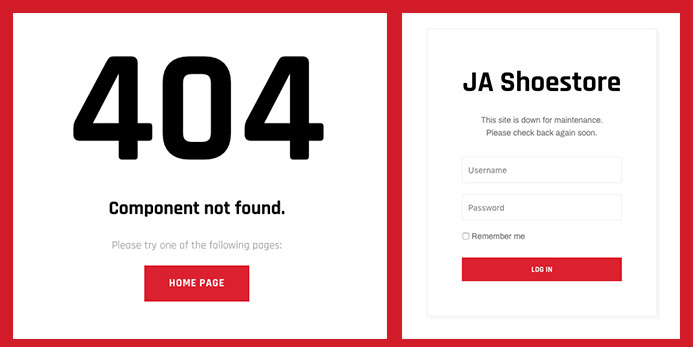 JA Shoe Store is responsive at core using powerful Bootstrap 3 responsive grid system. Every single element, page is designed to have outstanding appearance on all responsive layouts: Desktop, laptop, tablet and mobile to help you increase conversion rate on mobile. All Joomla default pages: Contact, 404, Offline, Search, etc are supported and has style customization to have same style of the template design. The News and Magazine Joomla template is based on our robust T3 framework with powerful options built-in and ease of customization. JA Shoe Store template supports right to left languages layout (RTL) to build website in special languages: Arab, Persian, etc. 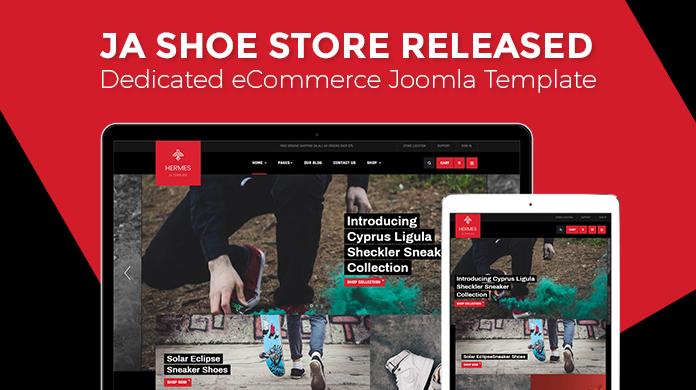 We hope you love the JA Shoe Store eCommerce Joomla template. If you have any comment, feel free to add to the comment box below, we are willing to reply all.